Community Health Education Center 10th Anniversary Lecture: "Why Hospitals Should Fly"
John J. Nance reads from Why Hospitals Should Fly: The Ultimate Flight Plan to Patient Safety and Quality Care. John J. Nance is currently considered a "single author." If one or more works are by a distinct, homonymous authors, go ahead and split the author. 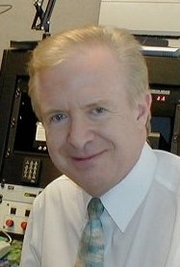 John J. Nance is composed of 6 names. You can examine and separate out names.